COLOGNE, Germany, Jul 19 2016 (IPS) - Immerath, 90 km away from the German city of Cologne, has become a ghost town. The local church bells no longer ring and no children are seen in the streets riding their bicycles. Its former residents have even carried off their dead from its cemetery. The fate of this small village, which in 2015 was home to 70 people, reflects the advances, retreats and contradictions of the world-renowned transition to renewable energy in Germany. Since 2011, Germany has implemented a comprehensive energy transition policy, backed by a broad political consensus, seeking to make steps towards a low-carbon economy. This has encouraged the generation and consumption of alternative energy sources. But so far these policies have not facilitated the release from the country’s industry based on coal and lignite, a highly polluting fossil fuel. “The initial phases of the energy transition have been successful so far, with strong growth in renewables, broad public support for the idea of the transition and major medium and long term goals for government,” told IPS analyst Sascha Samadi of the non-governmental Wuppertal Institute, devoted to studies on energy transformation. Renewable electricity generation accounted for 30 percent of the total of Germany’s electrical power in 2015, while lignite fuelled 24 percent, coal 18 percent, nuclear energy 14 percent, gas 8.8 percent and other sources the rest. This European country is the third world power in renewable energies – excluding hydropower – and holds third place in wind power and biodiesel and fifth place in geothermal power. Germany is also renowned for having the highest solar power capacity per capita in photovoltaic technology, even though its climate is not the most suitable for that purpose. But the persistence of fossil fuels casts a shadow on this green energy matrix. “The successful phasing out of fossil fuels entails a great deal of planning and organisation. If we do not promote renewables, we will have to import energy at some point,” Johannes Remmel, the minister for climate protection and the environment for North Rhine-Westphalia, told IPS. 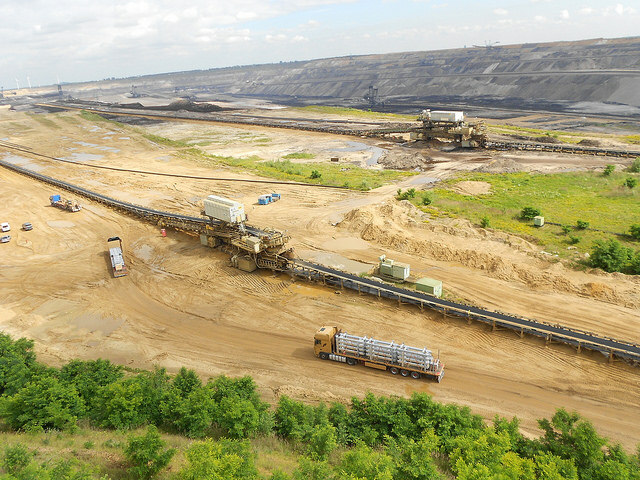 Germany has nine lignite mines operating in three regions. Combined, the mines employ 16,000 people, produce 170 million tonnes of lignite a year and have combined reserves of three billion tonnes. China, Greece and Poland are other large world producers of lignite. Garzweiler, which is owned by the private company RWE, produces 35 million tonnes of lignite a year. From a distance it is possible to see its cut-out terraces and blackened soil, waiting for giant steel jaws to devour it and start to separate the lignite. Lignite from this mine fuels nearby electricity generators at Frimmersdorf, Neurath, Niederaussen and Weisweiller, some of the most polluting power plants in Germany. RWE is one of the four main power generation companies in Germany, together with E.ON, EnBW and Swedish-based Vattenfall. The fate of coal is different. The government has already decided that its demise will be in 2018, when the two mines that are still currently active will cease to operate. The Rhine watershed, comprising North Rhine-Westphalia together with other states, has traditionally been the hub of Germany’s industry. Mining and its consumers are an aftermath of that world, whose rattling is interspersed with the emergence of a decarbonized economy. A tour of the mine and the adjoining power plant of Ibberbüren in North Rhine-Westphalia shows the struggle between two models that still coexist. In the mine compound, underground mouths splutter the coal that feeds the hungry plant at a pace of 157 kilowatt-hour per tonne. In 2015 the mine produced 6.2 million tonnes of extracted coal, an amount projected to be reduced to 3.6 million tonnes this year and next, and to further drop to 2.9 million in 2018. The mine employs 1,600 people and has a 300,000 tonne inventory which needs to be sold by 2018. “I am a miner, and I am very much attached to my job. I speak on behalf of my co-workers. It is hard to close it down. There is a feeling of sadness, we are attending our own funeral”, told IPS the manager of the mine operator, Hubert Hüls. Before the energy transition policy was in place, laws that promoted renewable energies had been passed in 1991 and 2000, with measures such as a special royalty fee included in electricity tariffs paid to generators that are fuelled by renewable energy sources. The renewable energy sector invests some 20 billion dollars yearly and employs around 370.000 people. Another measure, adopted in 2015 by the government in Berlin, sets out an auction plan for the purchase of photovoltaic solar power, but opponents have argued that large generation companies are being favoured over small ones as the successful bidder will be the one offering the lowest price. Energy transition also seeks to meet Germany’s global warming mitigation commitments. Germany has undertaken to reduce its greenhouse gas emissions by 40 per cent in 2020 and by 95 per cent in 2015. Moreover, it has set itself the goal of increasing the share of renewable energies in the end-use power market from the current figure of 12 per cent to 60 per cent in 2050. In the second half of the year, the German government will analyse the drafting of the 2050 Climate Action Plan, which envisages actions towards reducing by half the amount of emissions from the power sector and a fossil fuel phase-out programme. In 2014, Germany reduced its emissions by 346 million tonnes of carbon dioxide, equivalent to 27.7 per cent of the 1990 total. 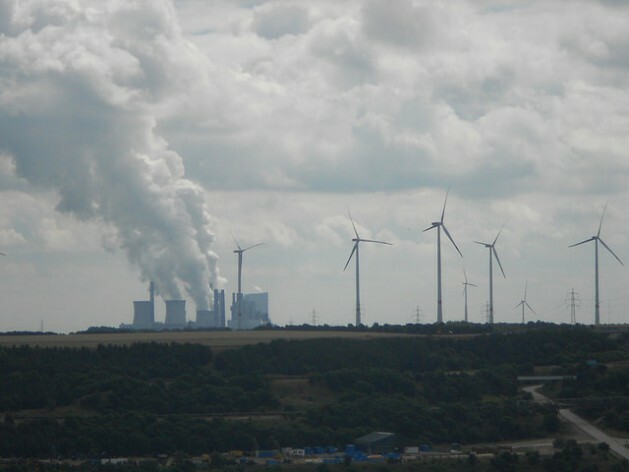 However, the German Federal Agency for Environment warned that in 2015 emissions went up by six million tonnes, amounting to 0.7 per cent, reaching a total of 908 million tonnes. Polluting gases are derived mainly from the generation and use of energy, transport and agriculture. In 2019, the government will review the current incentives for the development of renewable energies and will seek to make adjustments aimed at fostering the sector. Meanwhile, Germany’s last three nuclear power plants will cease operation in 2022. However, Garzweiler mine will continue to operate until 2045. “There are technological, infrastructure, investment, political, social and innovation challenges to overcome. Recent decisions taken by the government are indicative of a lack of political will to undertake the tough decisions that are required for deep decarbonisation”, pointed out Samadi. Companies “now try to mitigate the damage and leave the search for solutions in the hands of the (central) government. There will be fierce debate over how to expand renewable energies. The process may be slowed but not halted”, pointed out academic Heinz-J Bontrup, of the state University of Applied Sciences Gelsenkirchen. Meanwhile, the regional government has opted to reduce the Garzweiler mine extension plan, leaving 400 million tonnes of lignite underground. Cologne is (only) the biggest city. And the lignite mines are close.